Captain Dude!!! 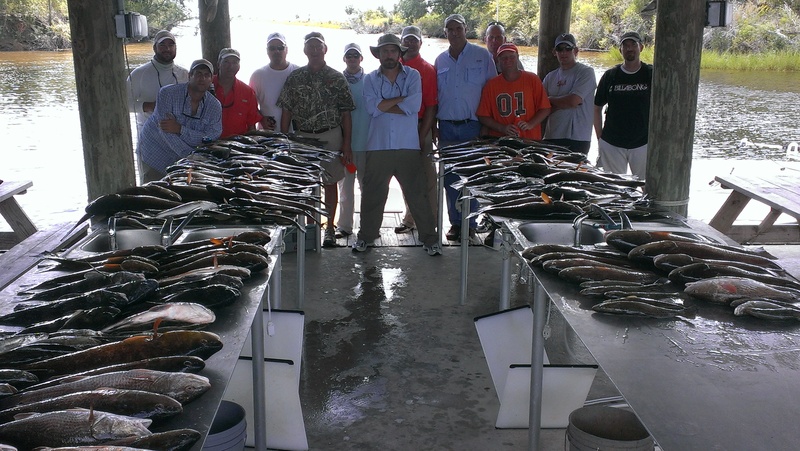 | Dudenhefer's Fishing Charters, Inc. Welcome to a World Class Fishing Destination, the Cajun Paradise. Born and raised in southeast Louisiana, Captain Dude!!! Dudenhefer has lived most of his life on the bayou. With endless marshes and a vast network of waterways at his doorstep, Dudenhefer could access some of finest year round fishing grounds in the world.And he learned quickly, mastering the marshes from Shell Beach to Hopedale, Delacroix to Point a la Hache. This was his back yard. There were alligators, porpoises, otters, raccoons, nutria, wading birds, pelicans and waterfowl. The wildlife was fascinating - the fishing phenomenal. And still is. In this diverse fishery, Dudenhefer learned how to target and catch redfish, speckled trout, bass, flounder, black drum and sheepshead in the interior/coastal areas. In the nearby offshore waters he found many other incredible species such as cobia, red snapper jack crevalle and grouper. New Orleans, Louisiana is home of many beautiful and unique areas, hosting one of the world's most renowned fisheries. Just to let you know. the rumors are true about fishing in southern Louisiana. Speckled trout fishing here is the best in the world. When the conditions are right, the most exciting way to catch speckled trout is on top water lures. Louisiana speckled trout fishing brings on explosive strikes with the fish knocking the top water lures out of the water!!! It's not uncommon to reel in 3-6 pound Trophy Trout!!! on a regular basis. They make excellent trophies for your wall and are the Best eating. This area east of the Mississippi River gives meaning to the name Sportsman's Paradise. And Dudenhefer knew long ago that there was something very special about this place. Anything we wanted to catch was right at our back door, said Dudenhefer. So that's what we did. Dudenhefer, began fishing with his father and grandfather when he was just three years old. He soon began working with his father, a commercial fisherman, and then several years later when family owned and operated Dudenhefer's Marina and Convenience Store Inc. With more than 40 years experience, Dudenhefer often gave customers tips on where to find fish - and how to catch them. It was tough having to run the marina while everyone else got to go fishing, Dudenhefer said. I still fished when ever I could - mostly in the evenings and on weekends. Many customers came to Dudenhefer's Marina and Convenience Store for the fast, friendly service. Buy most of the anglers came for the priceless fishing tips from Captain Dude!!!". If you want to catch Monster Bull Redfish!!! Like this one the Dude!!! Can put you on them!!! One of the hardest things to do is stop these Monster Bull Redfish!!! From breaking your line off.